When visiting Cape Town from abroad many people make it their duty to take a tour of the winelands of the Western Cape. 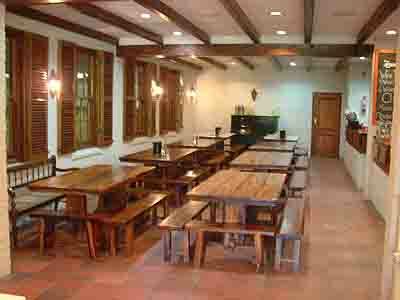 Many of the wine estates have opened their doors to visitors so today we will visit one of them. 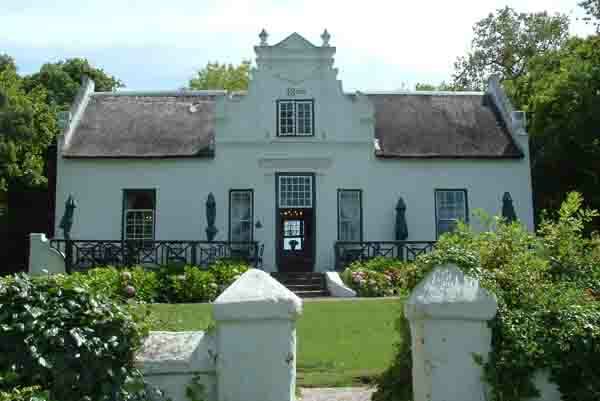 Zevenwacht had its early beginnings way back in 1712 when Jean le Roux a French Huguenot was allocated land on the Bottelary Hills between two areas that would later become the towns of Stellenbosch and Kuilsriver. He named the farm “Langverwacht” and he and his wife lived there with their 11 children until he died in 1752. 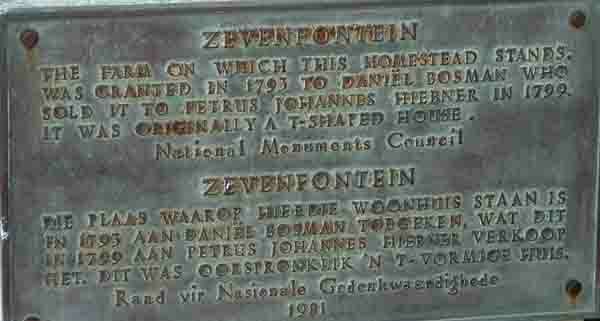 In 1793 Daniel Bosman was allocated an adjoining property which he named “Zevenfontein”. On this farm at the head of a beautiful valley he built himself a cottage to live in. Five years later in 1798 both farms, Zevenfontein and Langverwacht came on the market and were purchased by Pieter de Waal who decided to combine them as one farm. This arrangement however did not last very long as a few months later de Waal decided to sell Langverwacht to his son Adriaan, a deal which split the farms again. Why de Waal purchased the farms in the first place is a mystery as he decided to sell Zevenfontein to a rich landowner named Pietrus Johannes Hiebner in 1799. On taking over the farm Hiebner immediately got to work with his first priority being to upgrade Bosman's cottage. He added the neo classical gable to the front of the house and also added a room at the back of the house to turn it into a T shaped house. This was typical of the building style of the Dutch in those years. In years to come another two wings were added changing the shape of the house into an H shaped house which is what you will see when you visit the manor house on the farm today. Gilbert Colyn then set about renovating the farm and improving the vineyards which had been badly neglected. In 1982 a new cellar was built to be ready for the first harvest that was due in February 1983. After owning the farm for ten years Colyn put it up for sale and it was purchased by Harold and Denise Johnson. They immediately got to work and since mid 1992 some major improvements have been made on the farm. Modern facilities which include the restored manor house, a new tasting venue, an Alfresco Function Centre, a 14 suite Country Inn with vineyard cottages and a conference centre, a cheese factory and a restaurant have been added. The cellar which is built on three levels and is partially underground due to the slope of the land has been modernised. Its top level is now utilised as a winemaking and tank cellar while the intermediate level is used as a maturing and vat cellar. The bottom level houses the bottling plant and a storage area. 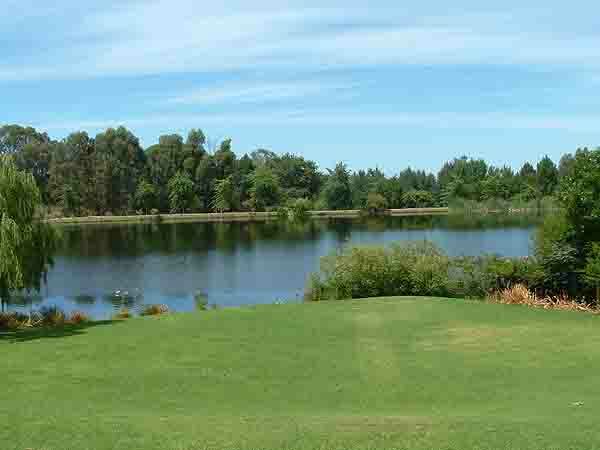 Since purchasing the two farms in 1992 the Johnson's have added another 150 hectares of land to the estate with the acquisition of the farm Die Eike to the estate. The Zevenwacht estate now has 500 hectares of land of which 160 hectares is planted with vines. This land produces up to 800 tons of grapes per annum and from this harvest the cellar can produce up to a 100000 cases of wine annually. A visit to the farm from February through to April will allow you to see the cellar in full production mode as well as give you an opportunity to taste some of the wines made. Of course the farm is open for tastings, seven days a week the whole year round. What is even more interesting is that most wine sale outlets are closed on Sundays in South Africa but on the farms one can purchase wines on Sundays. Just another good reason to visit the farms.